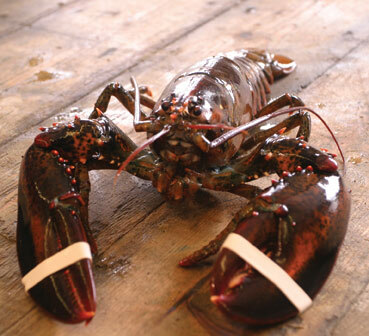 Our customers come in a wide variety of types and locations: From a West Coast gourmet restaurant using 20 lobsters to Midwestern supermarket chain running a promotion requiring 1,000 lbs. per store to an international wholesaler needing 10,000 lbs. Our approach is to handle each order with the same personal attention and dedication. Direct access to company owners. Customized order programs to meet your needs. In a world of bigger and better, we believe in being better. At our 35,000 lb. 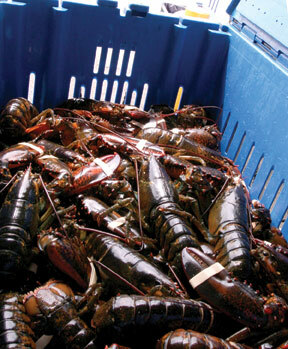 capacity facility, lobsters are stored in chilled natural ocean water, packed for travel in our climate controlled work area and transported in our refrigerated trucks. If they don’t arrive snappy, we’re not happy. Our waterfront location means your product is just one stop from source to delivery. We are convenient to major airports – five minutes to freight terminals at Pease International Trade Port and one hour to Boston’s Logan Airport and trucking transfer stations. To get your lobsters more direct, you’d have to buy your own boat. 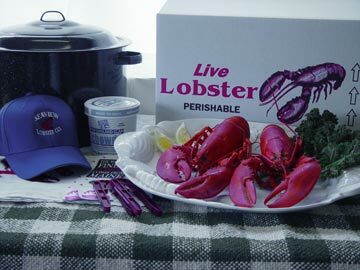 Order Live Lobster seven days a week. We pride ourselves on understanding the complexities of and challenges facing our customers. 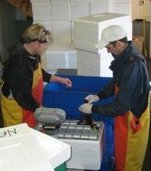 The lobster industry is continually evolving and we are committed to staying one step ahead with our customers. From offering new options in packaging to developing customized shipping and billing programs, we take a collaborative approach to meet your needs. © 2011 Seaview Lobster Co.